This year marks the conclusion of my service on the Midtown Neighborhood Association Board. 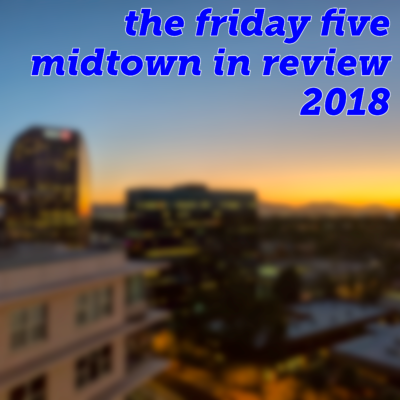 In that spirit, I offer five Midtown accomplishments from 2018. This year wraps up my tenure as Board President as well as my service on the Board of the Midtown Neighborhood Association. One of the greatest honors I have known in my young advocacy career has been to be President of the Midtown Neighborhood Association Board. In the spirit of looking back, I thought it would be appropriate to outline some of what I think are the biggest Midtown accomplishments that I’ve had a hand in over my tenure as a Board Member and as Board President in these past couple of years. Let me be absolutely clear that none of these Midtown accomplishments are my own. I was extremely fortunate to work with a dedicated group of Board colleagues that constantly challenged each other to think about what a urban-serving neighborhood association should look like. These accomplishments were made possible because of their commitment to midtown Phoenix. Our Board worked to establish consensus not only on our mission imperatives but in how we decided to execute upon those imperatives. 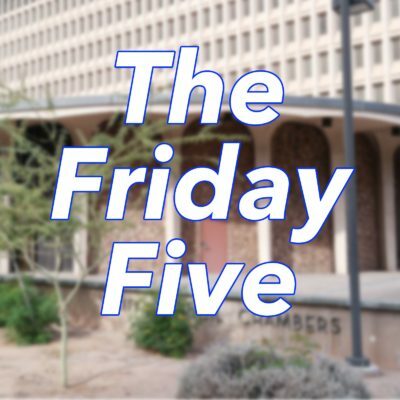 It is therefore in that spirit (and because it’s been unacceptably long since I’ve rolled out a Friday Five post) that I thought it appropriate to encapsulate what I think are the five greatest accomplishments that I’ve had a hand in as part of the Midtown Neighborhood Association Board. 5. We continued to deepen partnerships with other leadership organizations and leveraged their reach to help the Association’s mission. I think one of the most enduring of these Midtown accomplishments is that we continued to develop and deepen partnerships with other Phoenix leadership organizations. The Midtown Neighborhood Association is a dues-paying member of Phoenix Community Alliance and it was imperative for me to make sure we were engaging that group for all we could. While, at best, we could try to wrangle advertising for our quarterly magazine, The MUSE, or sponsorship for our major events, at worst, we were out in the community showing that we are a force for midtown Phoenix. 4. We were able to use our connections with kindred organizations on a shared advocacy agenda. One of the ongoing issues with central-city Phoenix advocacy is that many organizations have blinders on to only the issues happening in their neighborhoods and missing the greater picture. Top-of-building signage has been a big issue since the owners of the BMO Tower (1850 N Central Avenue) inaugurated their sign. When similar signs were proposed for two towers in Downtown in late 2017, we worked with our partners at the Phoenix Downtown Neighborhood Alliance (PHXDNA) on trying to create guidelines for top-of-building LED signage. As I’ve written previously, the issues that Midtown faces are largely the same as Downtown, and it’s imperative that organizations work together to lift and amplify each other’s voices. 3. We continued on the journey of implementing a committee structure. Like all of these, this one in particular was a joint lift involving many of my Board colleagues. The sustaining idea behind this is that we wanted to divorce Association-related tasks from individual people and put those roles in institutional committees that persist. This is also a great avenue to engage the community in our work! While it was a slow start this year, the foundations have been firmly established and it will only continue to grow. 2. We co-presented The Central-City Phoenix Neighborhoods Mayoral Debate in September. I reached out to my friends and fellow neighborhood organization presidents at Downtown Voices Coalition and PHXDNA to see about co-presenting a mayoral debate that was relevant to issues we face in urban Phoenix neighborhoods. Despite the disruption of fire alarms, we did the only debate on central-city Phoenix issues on 26 September 2018 at Burton Barr Library. KJZZ’s Christina Estes moderated using questions and themes developed by our three organizations’ boards and all four mayoral candidates were in attendance. Unique to our debate, we discussed issues like homelessness, transportation, and what the candidates’ plans were to build consensus in City Hall. 1. Midtown’s on the map. The big announcement for Phoenix in 2018 was that Creighton University is set to build a new campus in Midtown at Park Central Mall. With this campus, thousands of students, faculty, staff, will become a part of the Midtown community. Just as light rail and ASU aided in transforming downtown Phoenix, Creighton’s expansion has the potential to transform Midtown, and especially in concert with the transformation going on at Park Central Mall. As I have said, as Park Central goes, so, too, does Midtown. This is a tremendous opportunity and it’s incumbent on any Midtown leadership organization to be sure to capitalize on this tremendous gift. Even though my service on the Midtown Neighborhood Association Board is about to come to a close, by no means is this the end of my commitment and dedication to Midtown advocacy! I’ve lived in Midtown now for the better part of 13 years. As 2019 rolls in, I hope to have some announcements to share about the next chapter in my Midtown–and urban Phoenix–advocacy. There is still a lot to do and an uncertain future ahead of us. Let’s get to work. 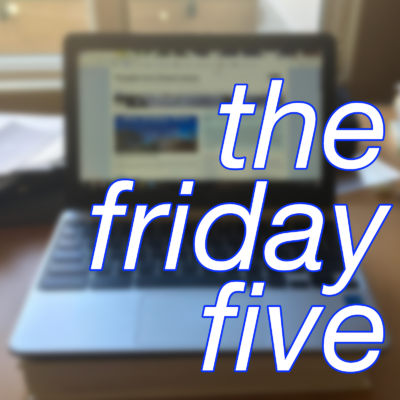 On the Friday Five this week, we take a look at Election 2014 and some things we’ve learned. We’ve been looking at the results incorrectly. A lot been made about what the results from Tuesday’s Election 2014 mean. If you’re a die-hard Democrat, one could safely say it was not a good night at all. If you lean more Republican, then you had an absolute ball. The point of this post is not to comment on specific policies but more about partisanship and the political system. 1. Tuesday was not a repudiation of liberal ideas but, instead, a repudiation of the Democratic Party. In numerous races across the country, Democrats lost handily, including a majority of seats in the United States Senate. While Republicans will infer, incorrectly, that Tuesday’s results were a repudiation of progressive ideals, I believe the Republicans successfully carried the message that the Democratic Party is not in touch with America. Democrats had walked away from their de facto leader, President Obama, and some of their major policy accomplishments. This also includes no action on immigration, which would alienate a significant voting bloc. 2. There were some good moments for progressive urbanism, though. In Phoenix, Proposition 480, the bond package for the Maricopa County public health system, handily won and Proposition 487, the elimination of Phoenix’s pension system in favor of a 401(k)-style system, was defeated. In a night filled with challenging news for those of us with left-leaning philosophies, these were two bright spots and moments of sanity. 3. Progressive-minded people need to instill the same importance of voting in their adherents as conservative-minded people do. I still do not understand why people do not vote. Some will say that there are barriers to voting but others and I believe that the results would not have changed were those barriers not present. In Maricopa County, it is painfully easy to vote: the County Recorder’s office will mail you your ballot and a postage-paid envelope to return your ballot. While I believe there should be as few barriers to voting as possible, there are some rules that are set up and, for better or worse, we should play by those until we can get those changed. 4. Arizona is not a “purple state;” it is solidly red. Despite a few liberal enclaves in Tucson and central-city Phoenix, Arizona is a red state. I give you one race that proves my point: as I type, Diane Douglas leads David Garcia in the Superintendent of Public Instruction race. Mr. Garcia had a significant coalition of support for him but he had one fatal flaw: he had a “DEM” next to his name on the ballot. Meanwhile, Ms. Douglas ran a minimal campaign (in the Republican primary, she was “not John Huppenthal”) and is set to succeed Mr. Huppenthal in the Superintendent’s chair. 5. There is a great opportunity for a new party to take over as this country’s progressive party. As I mentioned in point #1, the Democratic Party is in a state of disarray. It’s not sure what it publicly believes other than they’re “not Republicans.” There needs to be a party that loudly and proudly proclaims what I think aren’t controversial issues at all: a desire for a strong commons, equitable and progressive taxation, the need to move away from 19th-century energy to clean energy, and a strong belief that we need to invest in cities. There is a growing discontent with the Democratic Party because it has a reticence to commit to those few things. There are multiple political parties out there other than the two major parties so I encourage you to research all of them and join the one that best suits your beliefs, not what someone tells you is working for you.